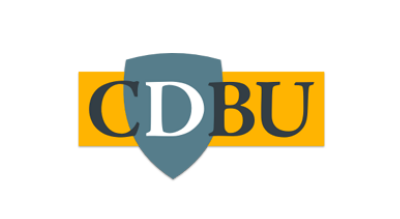 This is your opportunity to provide input into the CDBU’s response to a “Call for Views”. The closing date for responses is 13 February. You can find out more about the consultation by looking at the background notes at the end of his document. Alternatively or in addition you can make your response to the Consultation Document through the link provided. On 18th January, the Department for Education put out a Call for Views to feed into its independent review of the TEF. CDBU will prepare an official response to this Call, and we hope you will be able to help us get a better idea of how the TEF is currently perceived by staff in institutions of Higher Education. We have therefore decided to conduct a ‘light touch’ survey of our members, and would be grateful if you could take part in this. There are just 4 questions (qus 19-20 selected from the fuller consultation document) plus some questions about your background to aid interpretation. students (e.g. teaching and learning)? One of the responsibilities given to the Office for Students (OfS) under the Higher Education and Research Act 2017 is that of assessing “the quality of, and the standards applied to, higher education”. In particular, section 25 of the Act permits the OfS to operate a scheme that gives “ratings” to “English higher education providers” according to the quality and standards of the higher education they provide. That is the statutory basis for the grading of institutions under the TEF as “gold”, “silver” and “bronze”. any other matters that the appointed person considers relevant. Such a review has now been set up under the leadership of Dame Shirley Pearce, and she has initiated a Call for Views on the subject, inviting responses by no later than 1 March 2019. This provides an opportunity for any interested party to comment on any of the aspects of the TEF listed above. Responses to the Call for Views can be made through an online questionnaire available via the following website: https://consult.education.gov.uk/higher-education-reform/independent-review-of-tef-call-for-views/. A 15-page pdf document that includes the questions and describes the nature and purpose of the consultation can also be downloaded from the same website. To better meet the needs of employers, business, industry and the professions. Respondents may wish to bear this list of aims in mind when considering how best to articulate their judgements about whether the TEF is – in the words of the letter from Dame Shirley contained in the pdf version of the Call for Views – “fit for purpose”. It is envisaged that Dame Shirley’s report will become available in the summer of 2019. The metrics adopted for the TEF and the classification of institutions as “gold”, “silver” and “bronze” have been criticised from the outset as too blunt an instrument for identifying quality of provision in teaching. The benchmarking that was introduced to assess individual institutions in relation to what might reasonably be expected from them was also perceived to carry a risk of perverse outcomes: https://www.theguardian.com/higher-education-network/2017/apr/19/2vcs-will-the-tef-do-serious-damage-or-just-puncture-a-few-egos?CMP=Share_iOSApp_Other. When the TEF results for 2017 were published, the TEF Chair, Chris Husbands, acknowledged the unreliability of the metrics, but defended the process on the grounds that it provided vice-chancellors with “a useful tool for addressing areas that require improvement”: https://www.theguardian.com/higher-education-network/2017/jun/23/universities-tef-improve?CMP=new_1194&CMP=. The outcomes in the first year of the TEF were suspected of having been influenced by the way individual universities presented their written submissions: http://wonkhe.com/blogs/tef-results-what-the-panel-statements-say-and-dont-say/. The proposal to use data from the National Student Survey in the TEF had already been strongly criticised by the Methodology Advisory Service of the Office for National Statistics in February 2016, not least because the sample sizes involved were not adequate for making comparisons between institutions: https://www.gov.uk/government/uploads/system/uploads/attachment_data/file/523291/bis-16-269-teaching-excellence-framework-review-of-data-sources-interim-report.pdf. The report on the TEF published by Universities UK in August 2017 noted some belief among HE institutions that the TEF will stimulate focus on teaching and learning, and some evidence of influence on managerial policies, but that only 2% of its members believed the TEF would accurately assess teaching and learning, and 73% firmly disagreeing with that proposition: see http://www.universitiesuk.ac.uk/policy-and-analysis/reports/Documents/2017/review-of-the-teaching-excellence-framework-year-2.pdf, especially p. 27f. In September 2017, Times Higher Education reported that a review conducted by Richard Wilding and Emel Aktas of Cranfield University, using HESA data, had revealed that there was no link between staff-student ratios or the proportion of staff who held a teaching qualification accredited by the Higher Education Academy and how well an institution fared in this year’s round of the TEF: https://www.timeshighereducation.com/news/no-link-between-class-size-and-englands-tef-outcomes. Dorothy Bishop’s statistical/psychological critique of the subject-level TEF begins at http://cdbu.org.uk/subject-level-tef-are-the-metrics-statistically-adequate/. There is also comment on the implications of subject-level TEF going back to September 2016 at https://wonkhe.com/blogs/analysis-subject-level-tef-its-all-about-programmes-stupid/. In July 2018 Dorothy speculated that the publication of Unisats – now incorporating data from the Longitudinal Earnings Outcomes survey (cf. point 1 of the terms of reference for the independent review, above) – might provide sufficient information to potential applicants to make the TEF itself redundant: http://cdbu.org.uk/will-unistats-sink-the-tef-we-live-in-hope/.